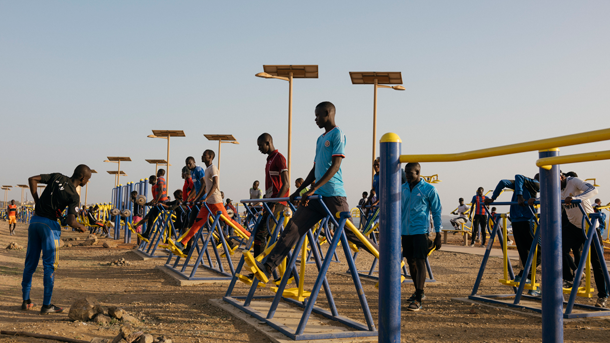 Through Better Hearts Better Cities – Dakar, the ministry is testing evidence-based, scalable approaches in Dakar that have the potential to thwart the rise of hypertension and other noncommunicable diseases (NCDs) throughout Senegal and the region. In Senegal, the World Health Organization estimates that 34% of all deaths are due to NCDs. Of all chronic conditions, hypertension—a risk factor for coronary heart disease and stroke—is the most common. The incidence of stroke—the major clinical outcome of uncontrolled hypertension—has increased 46% since 1990 in sub-Saharan Africa and is now the fifth-leading cause of death in Senegal. The initiative will take a multidisciplinary, scalable, sustainable approach to hypertension management at all levels of care, from primary prevention through treatment at referral health centers. Develop a technical package to improve hypertension services, including revised standard operating procedures, care algorithms, a registry, and a continuous quality improvement system. Improve the capacity of health providers to screen, diagnose, refer, and manage hypertension cases among the Dakar city population. Promote behavior change and healthy behaviors to prevent hypertension within the community. Improve access to and availability of hypertension medicines. Integrate hypertension care programs into workplaces. The findings from the initiative will inform the Ministry of Health and Social Action and other stakeholders’ approaches to preventing and treating hypertension throughout Dakar and beyond. Read more about the Better Hearts Better Cities initiative.